If you’re like many landlords, you may have at least one tenant (maybe more) that left owing you money. Chances are, it was a frustrating and upsetting experience. Their unpaid rent, damages and other monies owed are all listed in documents,gathering dust your file cabinet. It may come as a surprise to you that many of these collection files that you have “written off” as uncollectible are actually worth money! With the economic collapse that began in 2008, a lot of tenants lost jobs and the ability to pay rent. Subsequently, landlords got the short end of the stick since these tenants often left owing thousands of dollars in unpaid rent and other damages. But as the tepid economy chugs forward, many of these ex-tenants now have new jobs and a reliable source of income. And now they have the ability to repay the money that is owed to you. Don’t throw away money by leaving tenant debt sitting in your file cabinet. 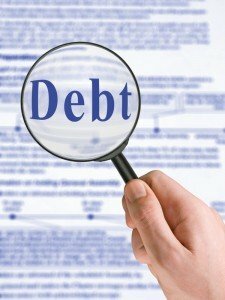 The first thing to do is check with the laws of your particular state to determine the statute of limitations on the outstanding debts. Some states have a short time frame (only a few years), but you may be surprised that many states have a longer time period where the debts remain valid. You also may be surprised that some tenants may be ready to clean up their bad credit and move on with their life. Sometimes all it takes is a simple letter. That has the potential to be worth thousands of dollars to you. AAOA Members can actually have debt collection letters sent from a reputable debt collection agency, direct to tenants, demanding payment of unpaid debts. One of the great features of this service is that the tenant is instructed to pay YOU directly — and not the collection agency — so you keep 100% of every dollar that is collected. To learn more about this service, visit Rent Recovery Service and look for Flat Fee Collection.